ALL finishers will receive a medal regardless if they are over the time limit for traffic control! Every race has to adapt to the needs of the city or town it’s in, and usually that means time limits for when the streets have to go back to normal and the volunteers can’t have tables filling sidewalks anymore. Totally makes sense. 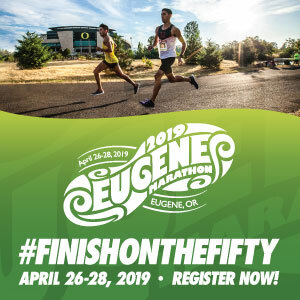 But as a runner who lives somewhere in the middle to the back of the pack, knowing that the medal will be there for each and every finisher makes me so excited to be part of the Bend Marathon on April 20th. This will be the 5th year for the event, and as a younger race there continue to be changes and improvements each year. The race is now under new, local ownership and has a new course developed to adapt to participants’ feedback and changes to the growing city. The courses include parks, forests, pathways along the Deschutes, and a finish in West Bend with an afterparty of craft beer and local food. For those wondering, or even worried, about weather late April, bring along the extra layers for the starting line. Bag check will be available starting at 6:15am. Or even better, any coats, sweaters, or other layers left at the starting line will be donated to Bethlehem Inn, a local shelter supporting homeless community members in Bend. Between the starting line and the finish line will be plenty of support. Pace groups are available for the full and half marathon distances. Aid stations will be set up every 2-3 miles with water, electrolyte drink, bars, and gummy bears (Hey Volunteers – I heart the red ones!). Aid stations in the second half of the course will include gels. Plus, porta-potties will be at each station too, just in case. All full and half marathon runners receive a long-sleeve tech shirt, while 10K and 5K finishers receive a short-sleeve shirt (kids 12 and under can participate for free, and purchase a shirt). Every finisher receives a recently unveiled medal (the marathon one is shown below and other medals are on their website). After almost 13 years living in Portland, I am so excited to be headed to Bend for my 13th marathon. And no matter my pace, I love knowing there will be a medal for me at the finish line. When: Saturday, April 20. Marathon at 7am. Half Marathon at 8am. 10K at 8:30am. 5K at 8:45am. 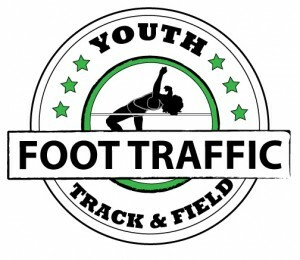 Packet Pick-Up: Thursday, April 18 from 11am-6pm or Friday, April 19 from 10am-5:30pm at FootZone (842 NW Wall Street) or Race Day 6am-9:15am. Cost: Marathon at $115. Half Marathon at $110. 10K at $65. Family 5K at $35 (5K is free for kids 12 and under! ).